After Easystore Self Storage pledged its support behind #therippleeffect campaign, a successful Kickstarter aimed at raising funds to create Cardiff’s first not-for-profit zero waste store (read more about it here), the business has shared its five top tips on working towards waste reduction. Speaking of the changes he has implemented within the business, Easystore Managing Director, Brendan Connies-Laing, said: “Since becoming more environmentally aware, we have made some small changes which go a long way towards reducing waste and becoming more environmentally friendly. This is a simple one that any business can adopt. We have made a concerted effort to only print when it is absolutely necessary, which isn’t just a great way to reduce wastage but it makes a great saving from a financial point of view. Also, when we do print, we ensure that we utilise both sides of the paper. This simple rule allows us to half our print consumption straight away. Across our facilities, we have stopped using single-use plastics and made a commitment to use glass bottles for milk and other drinks. The multi-use nature of glass bottles helps reduce our reliance on single-use plastic and has massively helped to cut down on the amount of waste we generate. As an additional bonus, we are also able to help support our local milkmen. In all kitchen, toilet and other communal facilities, we have introduced fixed soap dispensers to directly replace disposable plastic units. This has concentrated our efforts and finances on the liquid soap as opposed to the plastic bottles which add to our waste. In all toilet facilities, we have replaced disposable paper towels with electric hand dryers. Whilst this may add to the electricity bill, this does so in a negligible way as the efficient nature of the hand dryers is such a small cost compared with purchasing paper towels as well as the negative impact it has by adding a vast amount to the waste levels of the business. As a self storage firm with a very diverse client base, we find that our commercial customers generate lots of cardboard waste. 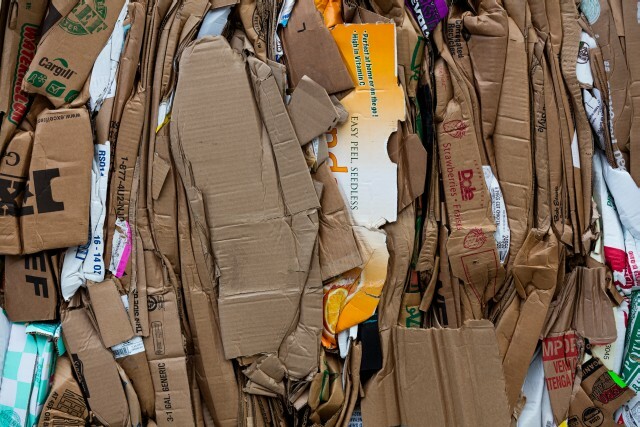 Our Cardiff facility has an on-site cardboard recycling facility, so we endeavour to always transport recyclable waste between sites when travelling back and forth. As well as being an efficient way of utilising our vehicles, it has the additional benefit of saving our clients money on what would otherwise be disposed of as commercial waste. Other businesses that don’t have the benefit of on-site facilities should enquire with local commercial recycling firms – after all they are there to make money from waste and should be able to make the whole process pretty easy. There you have it, our five top tips for reducing waste and working towards a work environment that doesn’t create huge waste or rely on single-use plastics. 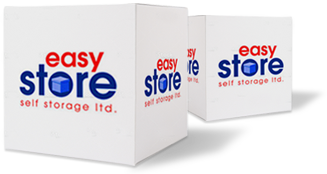 With storage facilities in Cardiff and Bridgend, Easystore Self Storage offers storage for all needs, whether domestic or commercial. Why not enquire today?